Can digital techniques—brought to bear on images, texts, and inscriptions—help us enter the lives and the minds of those who sailed an ancient sea? We’d like to think so! For the past two years, I’ve continued the work I began as a visiting scholar at the Getty Villa with a small but eager team of collaborators at Emory University. Together we are exploring gamification, social network analysis, and geospatial tools as routes to understanding the humanized seascapes of the ancient Mediterranean. The results cast new light on long-familiar images; provide an organic, bottom-up model for the emergence of complex networks; and, in the game we are developing, yield a new link between scholarly research and the student experience, one that that stimulates closer reading and historical curiosity. We began with a mystery cult, located on the island of Samothrace, whose secret initiations promised safety in travel at sea. The inscriptions found in the sanctuary, dating from the second century BC to the second century AD, let us lay out the geospatial reach of the project. Texts from authors including Demosthenes, Polybius, and Pausanias help reveal the dynamics of maritime ritual, mobility and social interactions among some 109 Greek city-states. Successful seafaring was complicated by human as well environmental factors, as competition and piracy thrived. These human risks were countered by civic contracts that enabled collaboration, information flows, and resistance to piracy. These are the practical counterpart to the myths of helpful gods, guiding dolphins, and magical charms. In terms of our network models, they are the human links among ancient cities. The results of our analysis suggest that not only did the rites actually work, but that we can recover some of the lenses through which ancient travelers perceived their world and their gods. 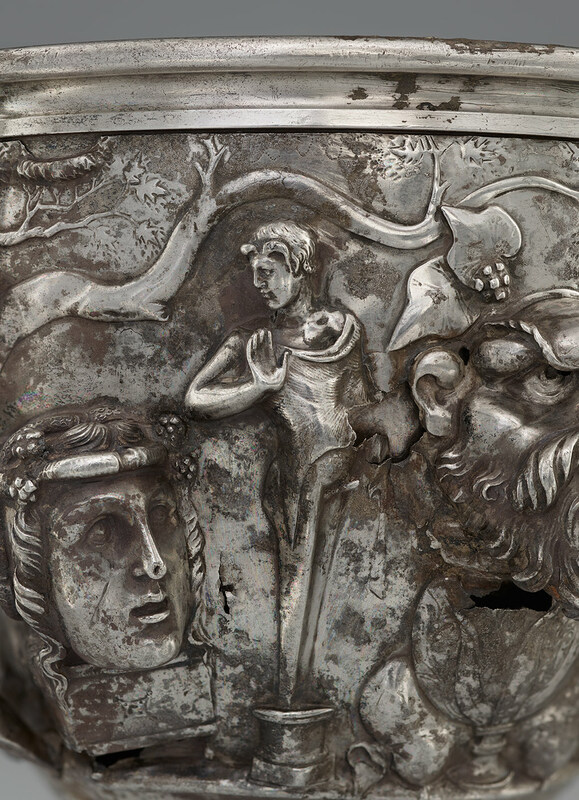 The Berthouville silver collection, which was conserved at the Getty Villa and on view there in 2014–15, is one of my favorite examples of how studying social networks and geographical spaces can help us see the ancient world differently. The collection, made in the first and second centuries A.D., is contemporary with the height of the Samothracian rites; they come from a Roman context, so encourage us to look again at the statements of Roman writers Lucretius, Varro, and Cicero on the mysteries. Two of the drinking cups in the Berthouville Treasure preserve images of Hermes, the god of travelers—a natural participant in rites promising safe journeys! And indeed, he shows up in literary discussions about the rites, but only rarely in material finds on the island. Here on these cups, however, are four images of herms that correspond to the Samothracian descriptions. Elegant and festive, they are embedded in what we could call not simply sacro-idyllic, but mystic-idyllic landscape. For the Romans—big fans of Samothrace—the sight of the herms on these silver vessels could take them back to the island, its mountain, and the rites that helped bring them safely to the shores of France. In Berthouville, those Romans honored a Gaulish variety of Hermes, Mercury Canetonensis. These richly decorated vessels would inspire lively, learned conversation at dinner. The ancient author Athenaeus lets us know that the Samothracian rites figured more than once in such elite chit-chat. An informed dinner guest may well have nodded to fellow initiates at the table over these silver images of Hermes—whose link to safe travel was uniquely clear to those who knew the rites. Read more about the Samothrace Project on the project site here. 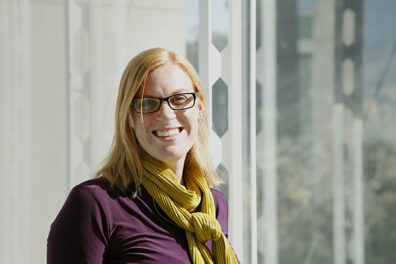 I’m associate professor of classics at Emory University in Atlanta and a former visiting scholar at the Getty Villa; I completed my PhD in classics and anthropology at the University of Southern California. 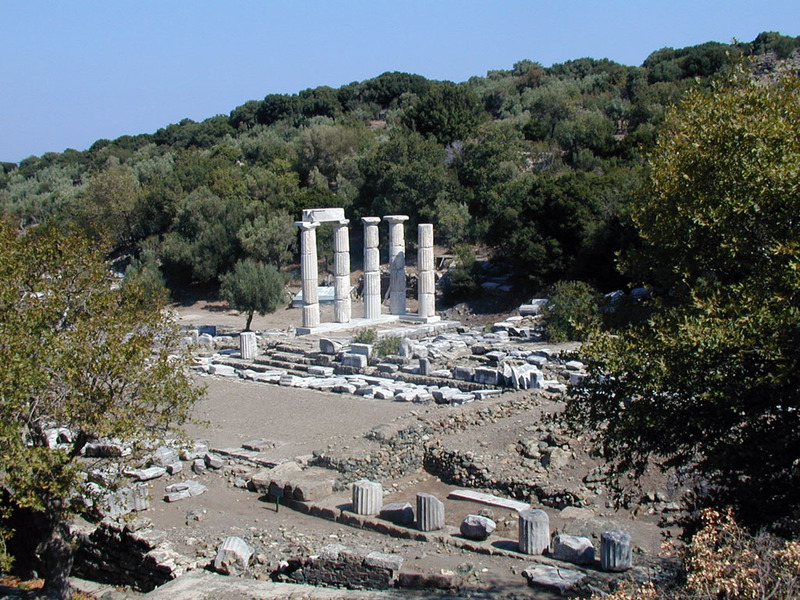 My current research brings Social Network Analysis and Geographic Information Systems to the epigraphic record of the Great Gods of Samothrace, to test the hypothesis that the safety at sea the Samothracian rites promised was a social reality as well as a mythic metaphor.